If you love to play a new, fresh out of the oven, entertaining game that will keep your hands glued to your device, then we are sure you are going to love this game we are about to show you. The name of the game is Rainbow Unicorn and it is available for all of the iOS users out there. Filled with fun features and beautiful design, you can play it on your iPhone or your iPad. 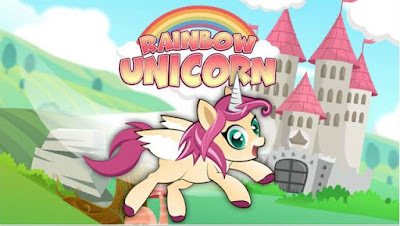 Download the Rainbow Unicorn game and enjoy its simple and interesting gameplay. You play with a cute character, a unicorn and your main goal is to draw lines with your finger across your screen. Draw the lines and bounce the unicorn in the air and move forward. As you jump, you also need to collect the coins that you can use later for building your kingdom. Earn as many coins as you can and build your unicorn wealth. Get as further as you can and try to score higher. You will be able to check your scores in the game’s leaderboard and compete with other players. Share Rainbow Unicorn with your friends and family and unlock the kids’ mode with an in-app purchase and provide your kids with some fun. Download it now, it is free on the App Store.